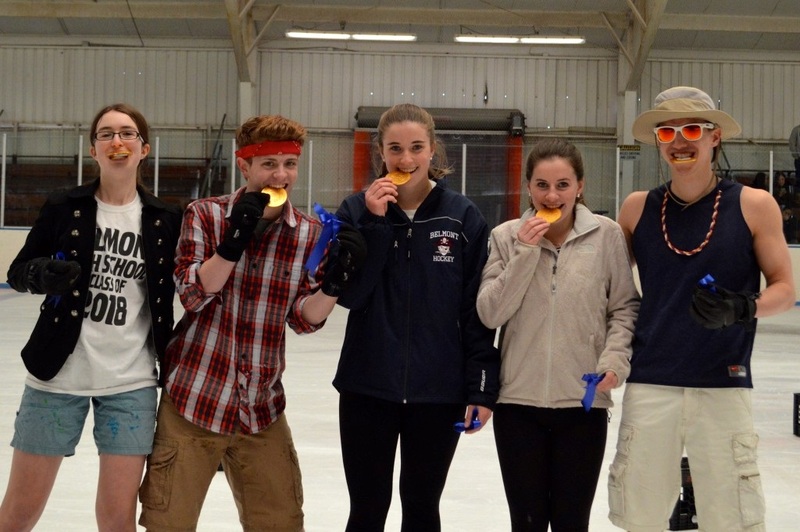 On Thursday, March 12th, the Community Service Class at Belmont High School hosted the first ever “ Skating in Summer Wear” event at the Skip Viglirolo Skating Rink. 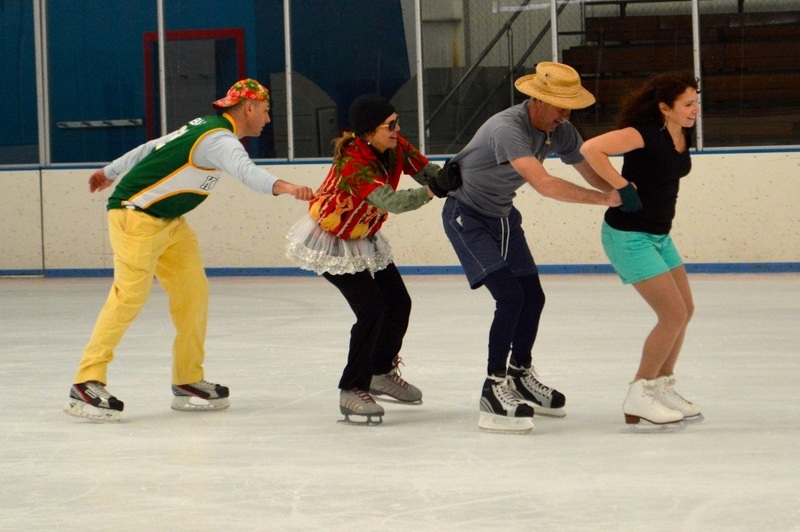 Teams of teachers and students competed in a number of relay races and games on the ice, while sporting summer-themed apparel. The event included BHS teachers: Mr. Abruzzese, Mr. Dunn, Mr. Brown, Mr. Streit, Dr. Shea, Mr. Lefebvre, Ms. English, Ms. Ross, Ms. McCabe and Ms. Brancazio. Student participants included: Meg Higgins, Caroline Madden, Eva Hill, Ryan Tooz, Chris Looney, Suryanka Thapa, Travis Ward, Grant Gilbert, Meggie MacAulay and Hannah Messenger. 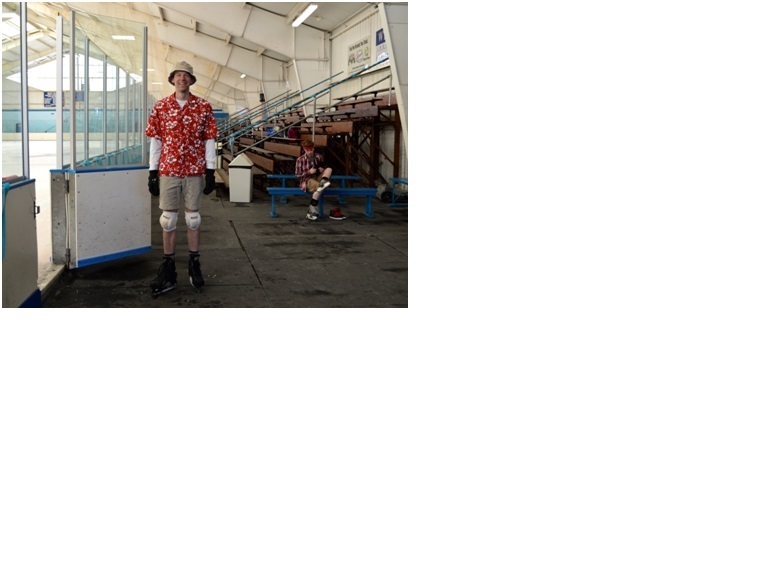 All of the entrants expressed great enthusiasm throughout, making for a very comical display. Admission and donations will benefit three agricultural groups in Guatemala, allowing them to buy fertilizer and other supplies to increase their production yield. Every dollar of the astounding $525 raised will be donated through Kiva, a non-profit organization. The hosting class would like to give a big thanks to all of the contenders, audience members, and volunteers that helped make the audacious event such a success!